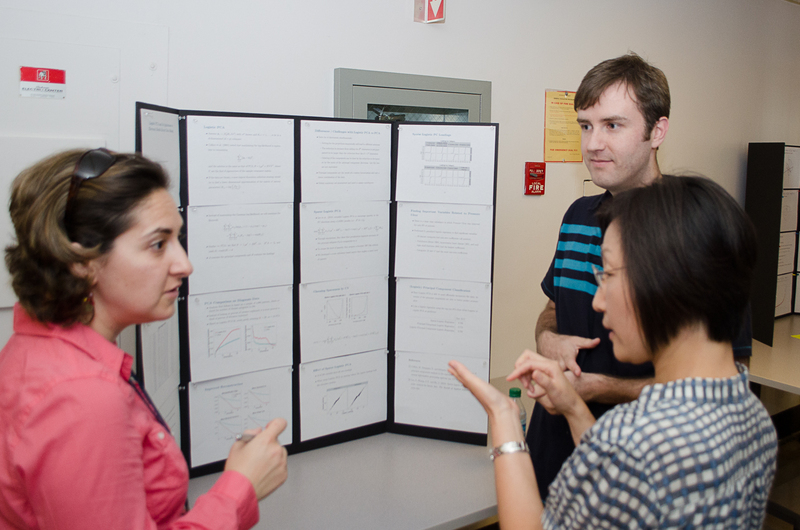 On September 26, the department’s usual seminar time was handed over to the students for a poster session. 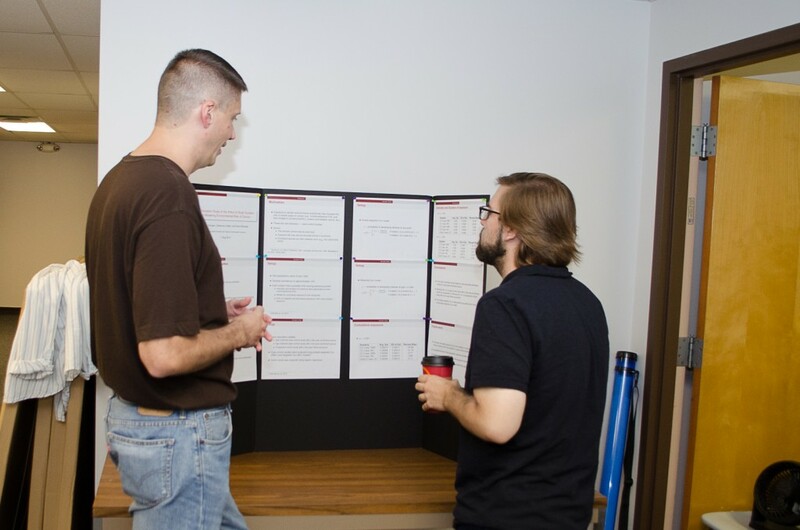 The session featured the research of twenty Statistics and Biostatistics graduate students, and presented a great opportunity for other students and faculty in the department to get a taste of what the senior students are working on. 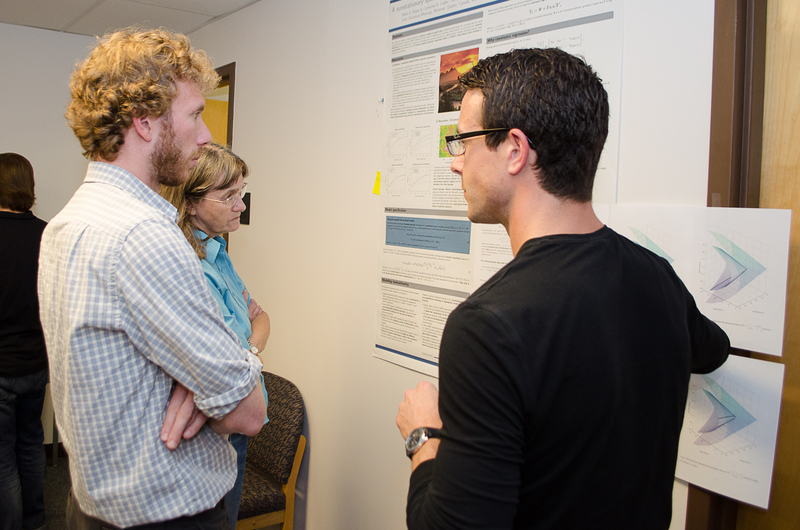 A well-attended affair by faculty and students alike, the poster session was a smash hit! Thanks to the organizers for putting this event together, and for all the students who presented their exciting research. Below are some pictures from the event; see the bottom for a list of the presenters and their research topics. 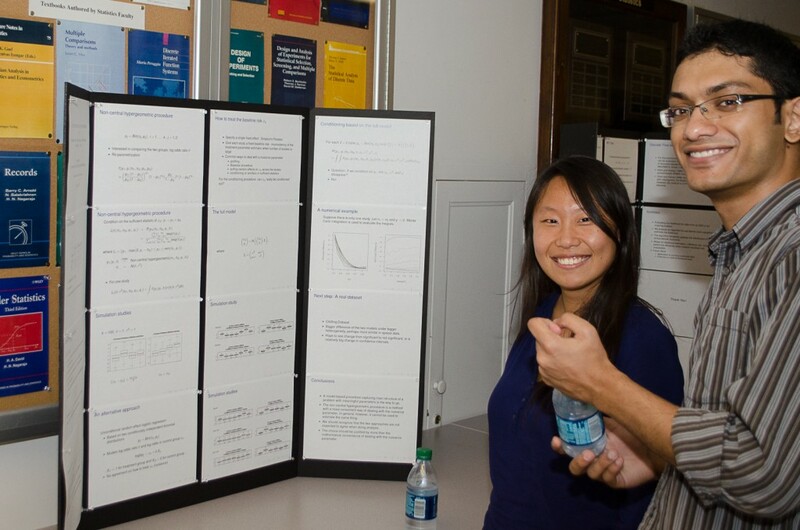 Are any of the posters/presentations online? I’d love to know what Srinath Sampath discovered about US baby name preferences. 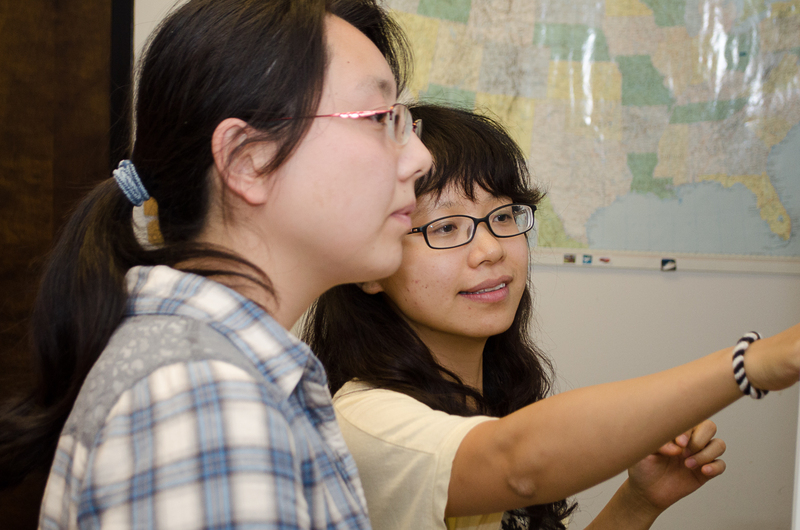 Nancy — I don’t believe the presentations are online, but I’ll track Srinath down and maybe he can shed some light on your question!